Size of this preview: 800 × 600 pixels. Other resolutions: 320 × 240 pixels | 640 × 480 pixels | 1,024 × 768 pixels | 1,280 × 960 pixels | 1,920 × 1,440 pixels. 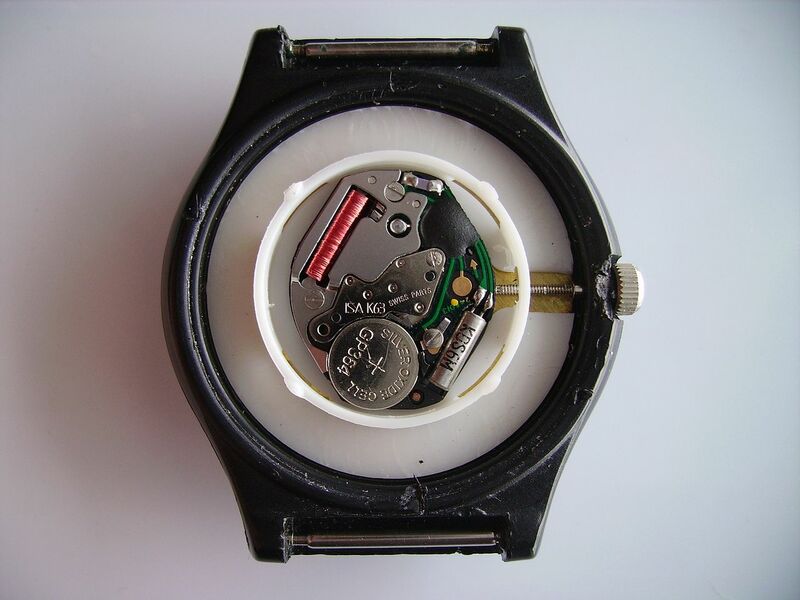 English: Basic ISA K63 low priced quartz wristwatch movement. Bottom right quartz crystal oscillator. Bottom left button cell watch battery. Top right oscillator counter. Top left the coil of the stepper motor that powers the watch hands.